I just love winter blooms, so many beautiful choices including sweet peas, hyacinth, tulips, hellebores, roses, stocks etc and I want to create with them! 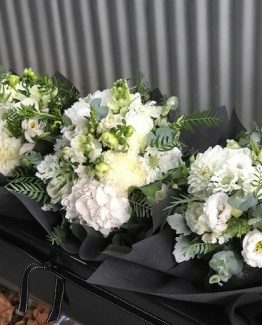 So if you are getting married in May, June, July, August or September 2019 take advantage of our winter special with 20% off the winter floral items listed below, including bridal party bouquets, buttonholes, corsages, table centrepieces and feature arrangements. Flowers must be seasonal florist choice with couples choice of colours and finishes. Orders must be placed online with the wedding date falling between 1st May and 30th September 2019.